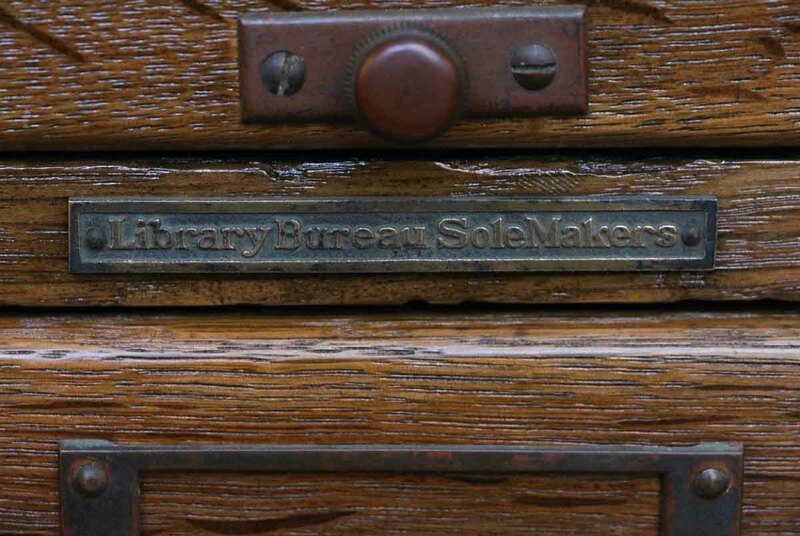 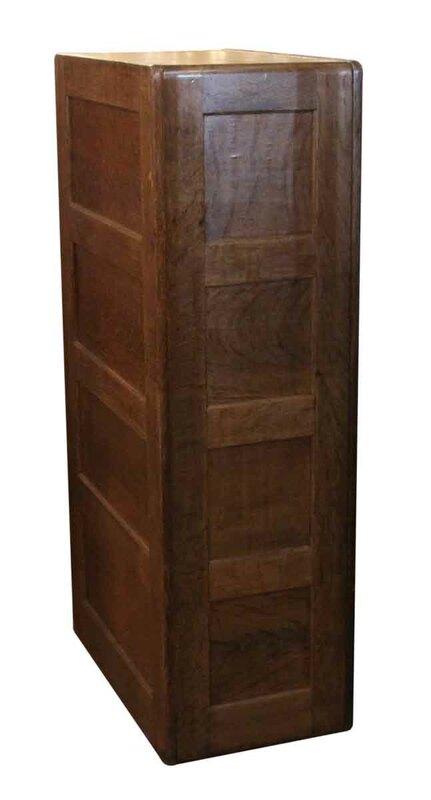 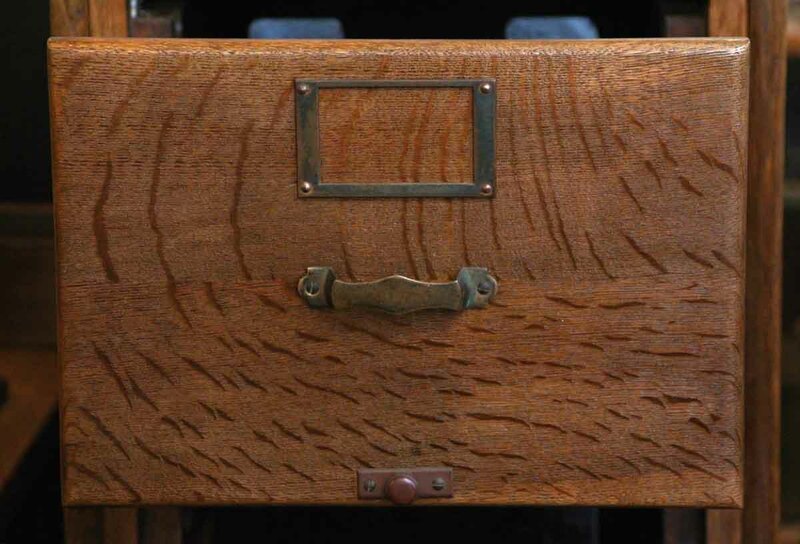 A handsome antique oak filing cabinet manufactured by Library Bureau Sole Makers, a company founded by Melville Dewey. 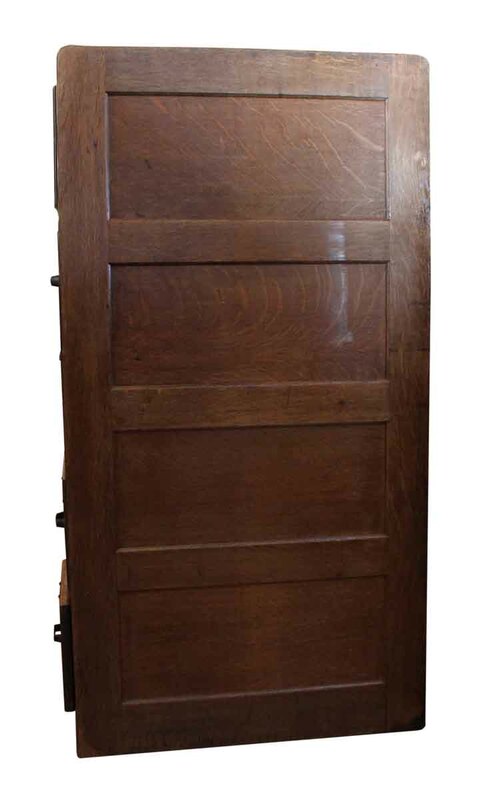 This solid oak cabinet was produced c. 1890-1927 and features 5 flush mount drawers with original brass pulls and label holders with panel side construction. 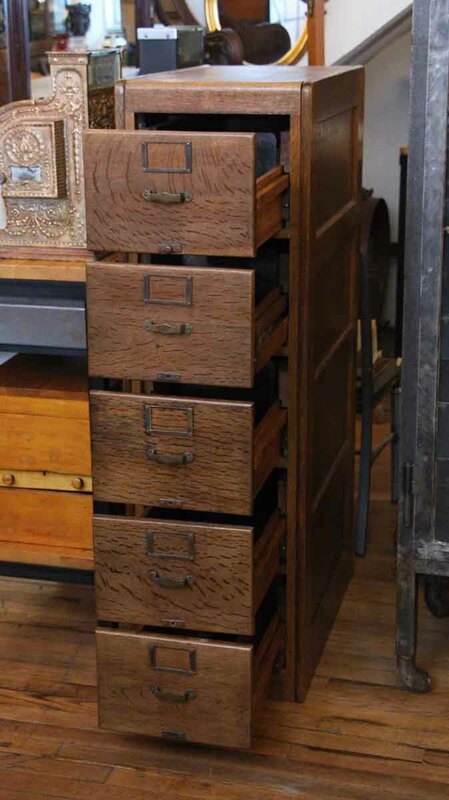 The drawers on this are 8 x 10 inches, NOT LETTER SIZE.